NetBizCity - Spyware, Malware and Adware problems on the rise. Spyware, Malware and Adware problems on the rise. Follow these steps which has a 95% success rate of removing spyware and adware. Your first line of defense is a good Anti Virus software. Most Antivirus programs are commonly available in two forms. The first form is Antivirus and the second is Internet Security. The Internet security version replaces the Windows Firewall with their firewall. I personally just use the Antivirus form as I see no advantage to having some additional firewall. 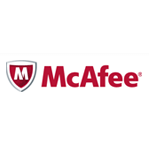 For Anti Virus I recommend either Kaspersky or McAfee. If you have either make sure they are updated. There are two types of infections that most PC users wind up getting. One is Spyware / Malware and the other is Adware. The difference is Adware just adds popup and other ads to your browser making browsing the web a bit of a nightmare. The others cause your PC harm by various methods. Some claim to be Antivirus programs which is telling you your PC is infected. Also it tells you if you send them X number of dollars it will remove the infections. Of course it is a scam and hope if it happened to you that you didn't fall for it? Even the best Antivirus applications can't block everything out there. If you are not careful and take your PC where no man has gone before you are bound to find some bad boys. To fix your problems should you have fallen victim to one or more of these unwanted infections follow these two steps. There are a few different versions to choose from. If you want to try it out then choose the free version. I although would suggest the portable version where you can used when needed. The portable version runs on a USB Memory stick or a CD. If you install it on your PC then first go to system tools / preferences and uncheck start superantispyware when windows starts. Also uncheck Enable real-time protection if you purchased it. These may cause problems with your Antivirus application so best to disable them. After downloading and installing your choice of versions run a full scan. At the end of the scan have it remove all infections and allow it to reboot the PC. I don't know why there is no official website for this software but I prefer sites that don't force you to install anything else on your PC. The two sites I give links to require no software to install and do not require you to register with them. After you download it run the application as it does not seem to install on your PC. It has a uninstall button but I cannot find any place where it installs anything nor does it place a shortcut or menu item on your PC. So I am assuming it installs nothing on your PC. At the end of the scan it will have a check boxes next to items it finds. Go tab by tab to see if anything it has listed is something important to you. For all other items make sure they are checks and then click Clean. Check off everything it finds unless it's something you wish to keep. Click on the Cleaning button and when it's done again you will need to reboot. After you run these two on your PC it should be clean of all bad boys. If you still have problems then repeat running both again but this time do it in safe mode. To get into safe mode reboot your PC and tap the F8 when you see the PC is booting on your screen. If you can't seem to time hitting this key at the right time then use msconfig to get into safe mode. On the first tab you can change it to Diagnostic Startup which is safe mode. 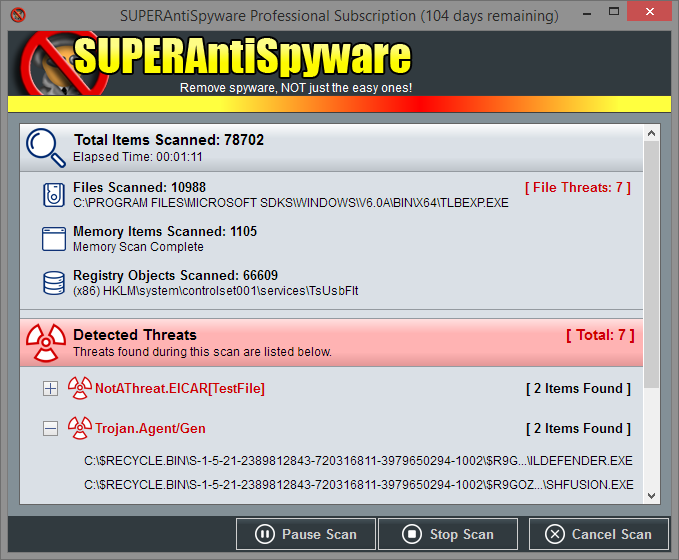 Run SuperAntiSpyware first and then AdwCleaner. To get back to normal mode again run msconfig and set it to Normal Startup. Lastly I again remind you that an up to date Antivirus software is your first line of defense. Just removing the infections is not enough - you also need to bar the doors.